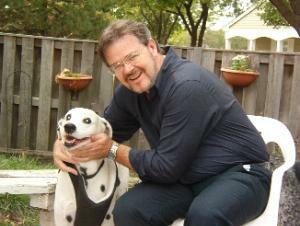 Robert W. Walker is an accomplished author delving mainly in fiction in the mystery and horror genres. 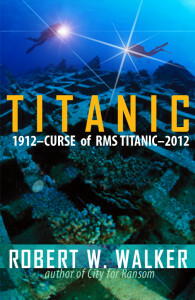 In the case of his book Titanic 2012, he takes the reader on a spellbinding trip. Award-winning author and graduate of Northwestern University, ROBERT W. WALKER created his highly acclaimed INSTINCT and EDGE SERIES between 1982 and 2005. 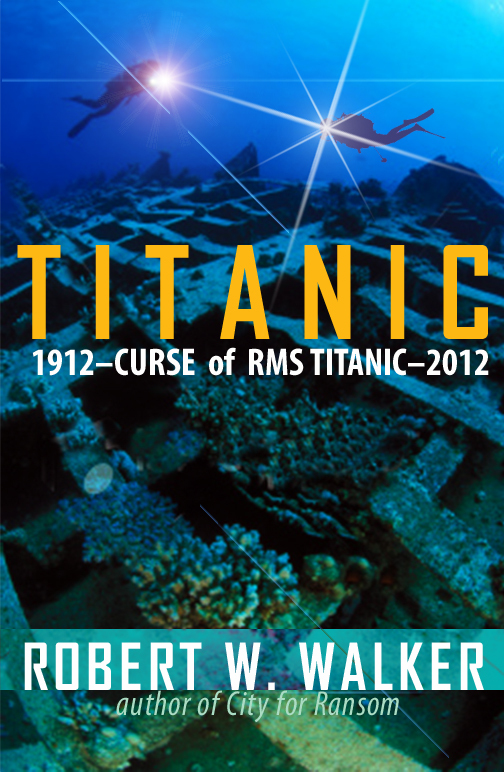 Rob since then has penned his award-winning historical series featuring Inspector Alastair Ransom with CITY FOR RANSOM (2006), SHADOWS IN THE WHITE CITY (2007), and CITY OF THE ABSENT (2008), and most recently placed Ransom on board the Titanic in a hybrid historical/science fiction epic entitled Titanic 2012 – Curse of RMS Titanic. The original Ransom trilogy straddles the Chicago World’s Fair circa 1893, and has had enthusiastic reviews from Chicago historians and the Chicago Tribune, which likened “the witticism to Mark Twain, the social consciousness to Dickens, and the ghoulish atmosphere to Poe!” Rob has since published DEAD ON (also an audiobook), a PI’s tale of revenge as a reason to live—a noir set in modern day Atlanta, followed more recently by Bismarck 2013, an historical horror title, The Edge of Instinct, the 12th Instinct Series, and a short story collection entitled Thriller Party of Eight (also an audiobook). Rob’s historical novel CHILDREN of SALEM, while an historical romance and suspense novel exposes the evil in mankind via the politics of witchcraft in grim 1692 New England, which one professional editor reviewed as: A title that only Robert Walker could make work—romance amid the infamous witch trials. The author followed this ANNIE’S WAR, an historical romance set in 1859, a tale from the point of view of the daughter of the infamous John Brown of Harpers Ferry notoriety. Robert currently resides in Charleston, West Virginia with his wife, children, pets, all somehow normal. For more on Rob’s published works, see www.RobertWalkerbooks.com www.HarperCollins.com www.amazon.com/kindle books. He maintains a presence on Facebook and Twitter as well.